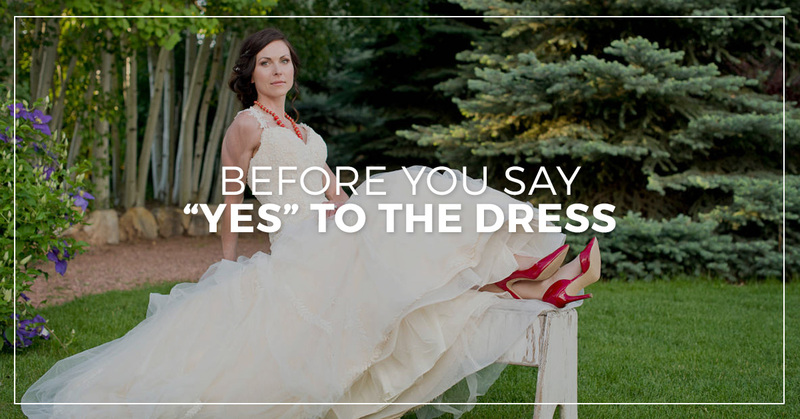 Before you pick out your dress you first need to decide what time of year your wedding will be. Would you like a winter wedding with the beautiful falling snow outside matching your dress, or a summer wedding where the sun’s rays hold you in an embrace as you kiss your forever love? Secondly, you need to choose your venue. It needs to be perfect for your perfect day. These two things, season and location can help you decide the style of wedding that you are going for- formal, semi-formal, informal. Learn as much as you can, and do some research. Recall the most memorable wedding you’ve attended, watch bride shows on television, look through magazines, and attend bridal shows! This is a great place to find everything relating to weddings in one place. You’ll be able to see different cakes, different floral arrangements, DJ’s, wedding dresses… the list goes on and on! Your wedding will be one of the most important days of your life, so these decisions should not be made lightly! Take your time, and learn as much as you can before deciding on all of the intricacies involved. Give yourself at least four months to buy your dress. At least! You don’t want to be rushed or to have to pay crazy shipping fees to get it in time. Take time to buy your accessories. You do not need to buy everything all at once. There are so many choices. Look around! Choose cute, comfortable shoes. Remember you will have all eyes on you as you walk down the aisle. So make sure you’re feeling stable and adorable. Remember this is your day to Sparkle and Shine, and you want it to feel like a dream! This is one decision that we’ll help make for you, and we promise you won’t regret it. When you decide to have your wedding at Church Ranch Event Center, you’ll walk down the aisle with a smile on your face and know that you made the right choice. Located in the beautiful Rocky Mountain Front Range in Westminster Colorado, we’ll provide you with everything you hoped for, and more! Our entire staff will be entirely dedicated to exceed your expectations and make sure that all of your demands and needs are met. With amenities including a full bar and professional coordinators to tailor your ideal plan, your big day will go on without a hitch. We also provide you with your own wedding planner! Did we mention our breathtaking outdoor grounds? Our forested garden area features grand trees to provide shade, ponds and fountains, and lush green lawns. This will be the perfect location for your ceremony. If you decide on a winter wedding, our grand event hall is also rustic and gorgeous. If you’re still feeling a little unsure be sure to take a virtual tour of our event center on our website, and then come out and take a tour in person! We promise you will not be disappointed. If you have any questions or concerns, be sure to contact us today!